In this episode, Andy Schmidt drops by again, this time to talk about writing for video games. 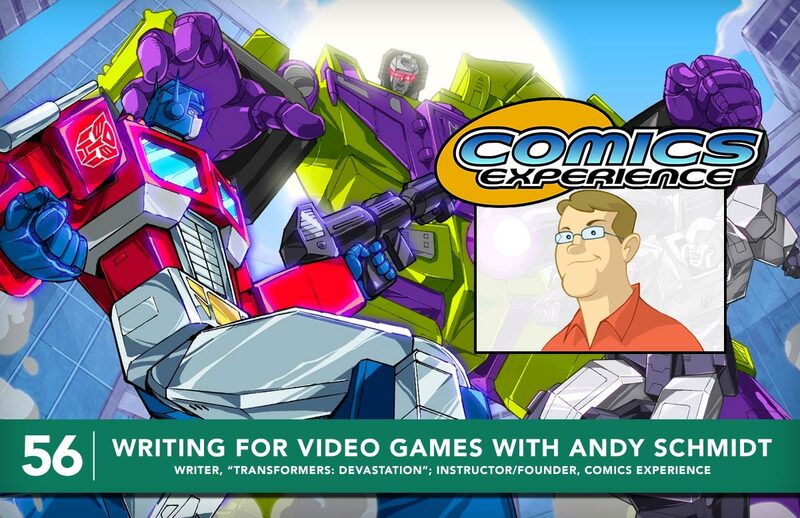 Andy is the founder of Comics Experience, an online school that connects students with industry professionals to learn the craft of making comics. 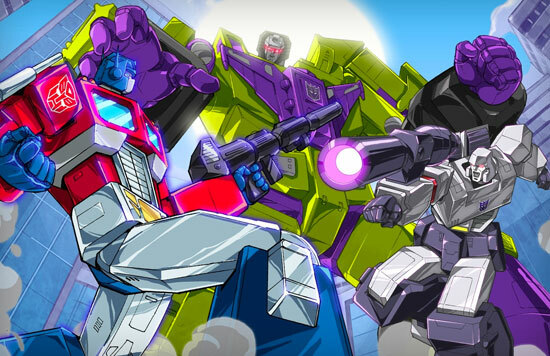 But beyond his vast experience in comics, Andy has also written for a number of video games – most notably, the recent hit Activision game, Transformers: Devastation. This April, Andy will be teaching a 5 week online course called Introduction to Writing for Video Games. If you’re a writer who is interested in the video game industry, you should definitely check it out. Space is limited, so go sign-up now! This is a really fun chat full of great info – both for video game writing hopefuls, and fans of Transformers and gaming in general.